Lula Belle (Williford-Isbell) Simonds-Baker of Herrin, Illinois was born on April 14, 1941 to Ishmael and Pearl (Walker) Williford; both of whom preceded her in death. She joyfully went home to be with the Lord on September 12, 2018 with her extended family and friends by her side singing praises unto the Lord. As a young lady, she met and later married Robert (Reddie Bob) Simonds of Cambria who preceded her in death in 2008. They celebrated nearly 50 years of life together raising a family and living in Southern Illinois. 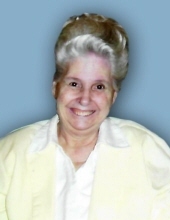 Throughout her life, Lula Belle impacted the lives of hundreds of children as a faithful Sunday School teacher and saint of West Monroe Apostolic Church in Herrin, Illinois. She rejoiced in taking all her children and grandchildren to church every Sunday encouraging them to live for the God that she loved so much. These grateful children include Hank and Elizabeth Isbell of Herrin, Pearl and the late Rick Alstat of Marion, Karen Isbell and fiancée Gary Robinson of Herrin, and Betty and Kelvin Walker of West Frankfort. Grandchildren include Jeremiah and Shelly Reagan with great-grandchild Brennan of Herrin, Jeffrey Isbell of Herrin, Jeffery (JD) Severs and fiancée Audrey Gilomen with great-grandchild Blake of Harrisburg, Holly Isbell and fiancée Ryan Frampton of Herrin, Caycee Isbell of Herrin, Cody Alstat of Marion, and Michael, Joseph, Nevaeh, Marie, and Makayla Walker all of West Frankfort. She is also survived by numerous in-laws, nieces and nephews. After the passing of her longtime husband, she was fortunate to marry Robert (Bob) Baker of Herrin. Mr. Baker lovingly cared for her until her last day on this earth. He also blessed her with a sister Wilma Baker of Herrin, children Robert Nathan Baker of Herrin, Christina Cook of Herrin, and Cherri Worley (and friend Jackie Ridenour) of Water Valley, KY and grandchild Patricia Blades of Marion. Lula Belle was a kind woman loving everyone she met including her spoiled and beloved dog, Riley. She loved shopping whether it was out at the stores, through a catalog, or by visiting yard sales every Saturday morning. Professionally, she worked at Norge (Maytag) and served the needs of others as a caregiver to the elderly and a babysitter to countless children. She was an avid purse collector and loved gospel music. She was blessed by the friendship of many close friends including her caregiver, Melissa. In addition to the aforementioned, Lula Belle is survived by her brothers Bill (and Karen) Williford, Freddie (and Carol) Williford, and Ishie Williford all of Herrin and sisters Elsie Martin and Betty Barnett both of Herrin. A service celebrating her life will be held at West Monroe Apostolic Church in Herrin, Illinois on Sunday, September 16th at 6:00pm with a time of visitation from 4:00pm to 6:00pm on the same day. Her home-going celebration will be led by Pastor Terry Griffith with Curtis Smith and Jeffrey Isbell speaking. On Monday, September 17th at 11am, she will be laid to rest at Herrin City Cemetery next to her late husband Robert Simonds. Family and friends are encouraged to attend this graveside celebration of her life. Memorial contributions in her honor may be made to the “Education Building Fund of West Monroe Apostolic Church” to further her love for Sunday School as the church seeks to build a new educational wing. Donations will be accepted at the church. Arrangements are being carefully prepared by the capable hands of Meredith-Waddell Funeral Home in Herrin, Illinois. To send flowers or a remembrance gift to the family of Lula Belle Baker, please visit our Tribute Store. "Email Address" would like to share the life celebration of Lula Belle Baker. Click on the "link" to go to share a favorite memory or leave a condolence message for the family.